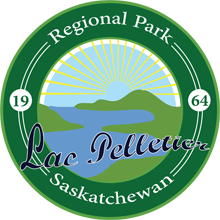 Campground fees and refunds are established in accordance with “The Saskatchewan Regional Parks Act 2013”. Reservations can be cancelled at any time prior to your scheduled arrival online through Book-A-Site or by calling the Park Office at 306-627-3595. Refunds processed through the Park Office are paid by check; please allow 1 month for processing. Changes to reservations can be made online through Book-A-Site or by calling the Park Office at 306-627-3595. For more information on how to cancel or change your reservation please go to “How to Book Online” tab under camping. Check in time is at 2:00 p.m. and check out time is at noon. The Change and Cancellation Fee charges are calculated based on these times. If you choose to reduce your stay, you will be refunded 75% of your booking fee + change fee.